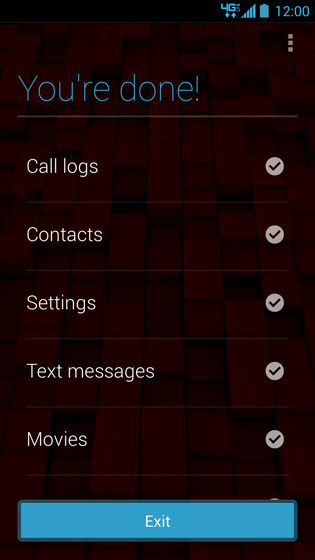 Motorola Migrate moves photos, videos, SIM contacts, call and text history from Android phones to Motorola phones wirelessly. 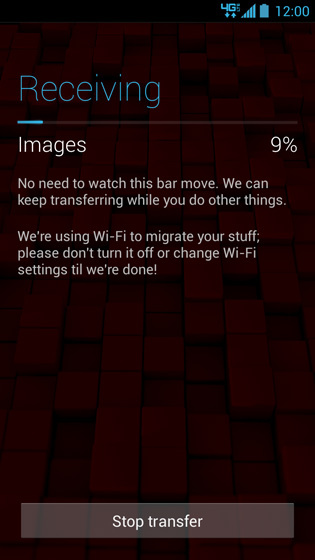 Motorola Migrate can only transfer media from devices with Android 2.2 (Froyo) and above. 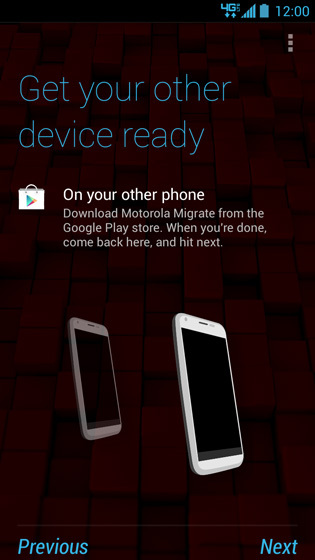 From the other phone, download and install Motorola Migrate from the Google Play Store. 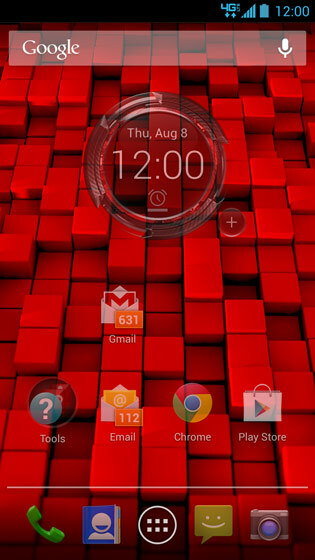 From the new phone home screen, select Apps (located at the bottom). 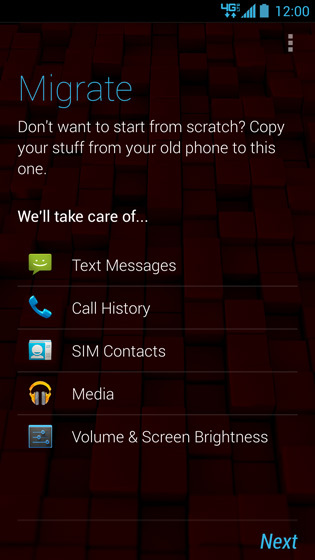 Select Next (located in the lower right). 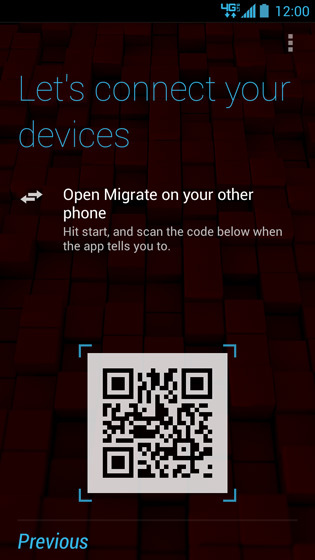 From the other device, select Migrate/Motorola Migrate then when prompted scan the code below (displayed on the new Motorola phone). 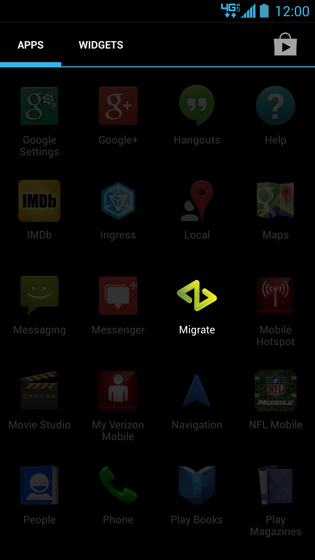 If Migrate isn't available on the home screen navigate: Apps > Migrate/Motorola Migrate. Align the QR inside the blue square. Allow several minutes for data transfer to complete.